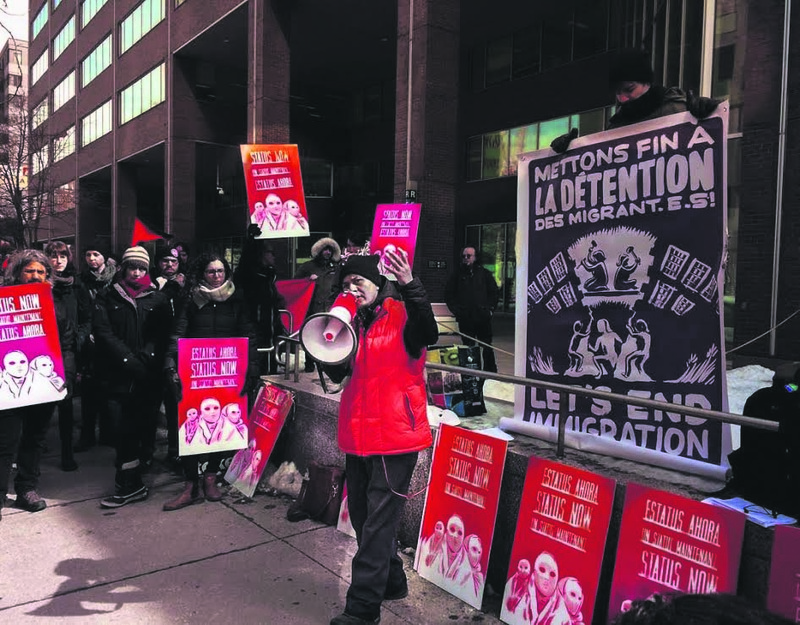 On Thursday March 22, a rally was held in front of the Guy-Favreau Complexe to protest the declared deportation of Lucy Francineth Granados, an undocumented woman taken from her home by force by the Canadian Border Services Agency the morning of March 20. The rally was organized by the Immigrant Workers Center and Solidarity Across Borders. Granados herself is a prominent community organiser, and a member of the Non-Status Women’s Collective in Solidarity Across Borders. Since being taken from her home by the CBSA, Grandos has been held in the Laval Detention Centre, and a review hearing for her case occurred during the support rally. Results of the hearing, revealed later, declared that Granados will be deported back to Guatemala on March 27. “The city of Montreal making this decision to call itself a sanctuary city, […] [but] since Lucy has been arrested the response [of the city legislators] has been, ‘that’s a federal matter, there’s nothing we can do,’” said Foster. Foster explained how Granados filed a humanitarian application for permanent residence in order to regularize her status in Canada, after her refugee application was refused upon entering Montreal nine years ago. She has remained in Canada without documentation in order to support her three children who have grown up here.